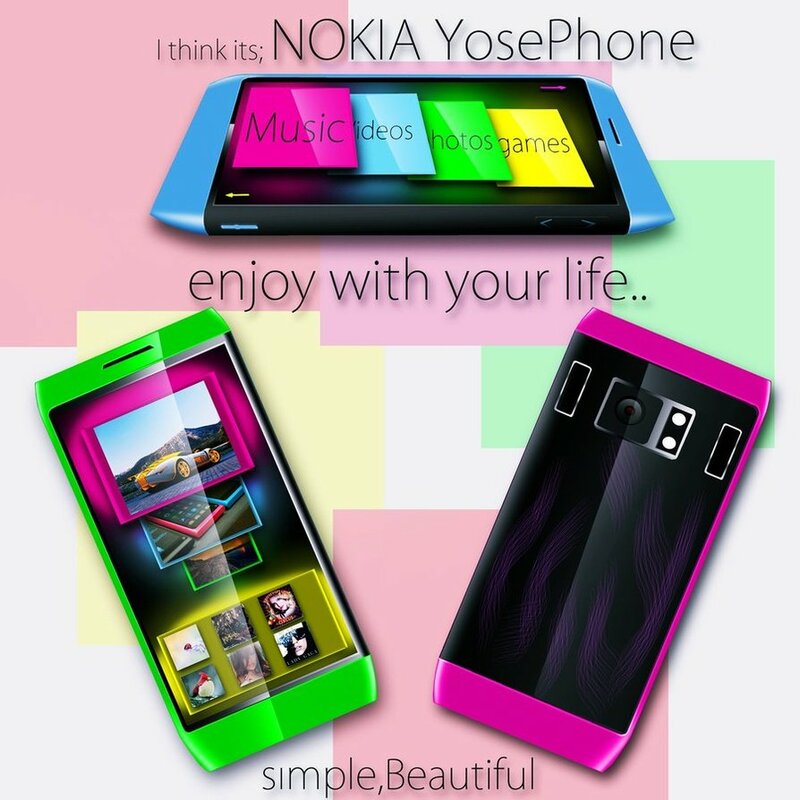 Deviantart member Qromodynmc created a very colorful Nokia concept phone, dubbed YosePhone, that can be seen below. The key here is borrowing some element from the Nokia N8 and the N9 maybe and another important factory is asymmetry. Notice hone the left side is different from the right one, especially at the back and so is the lower area and upper side. I can see this as the long awaited follow-up to the Nokia N8, with a potent 16 megapixel camera (it has been done by HTC Titan II at CES 2012), dual LED or maybe dual Xenon flash and some powerful speakers. The screen seems like an edge to edge affair, maybe a 4 inch Super AMOLED screen with a qHD or even HD resolution. Other than that I’m expecting a dual core processor inside and maybe some of that promised Symbian Donna action I’ve been hearing about.